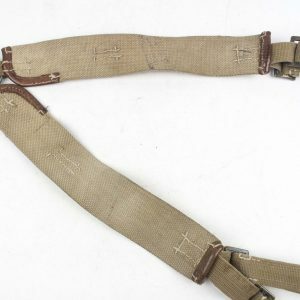 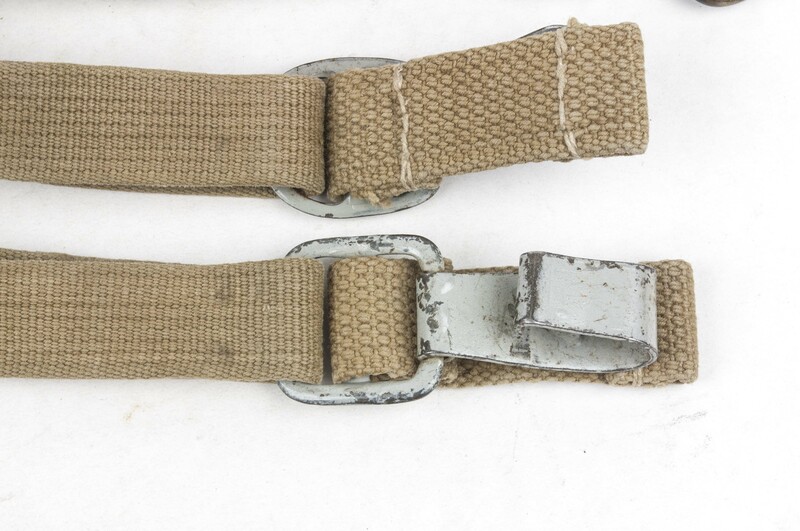 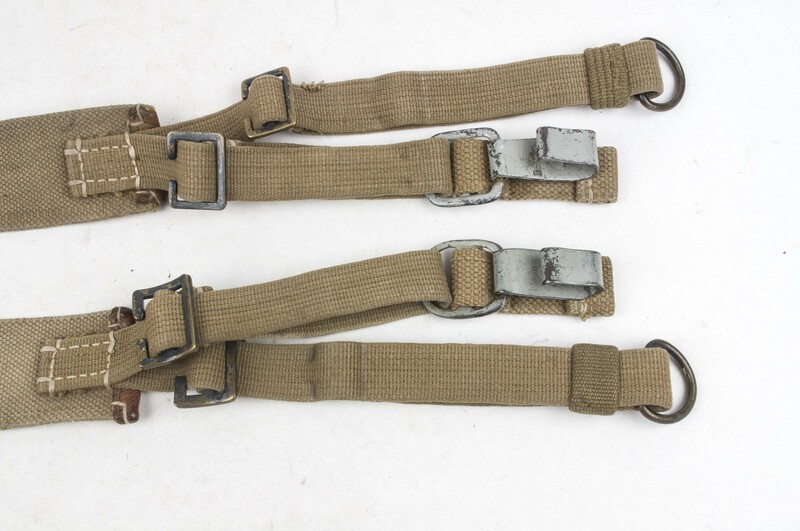 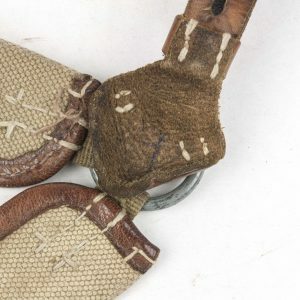 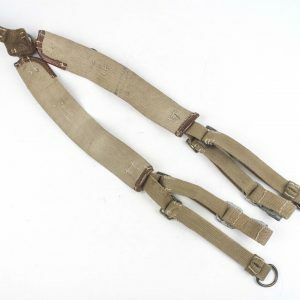 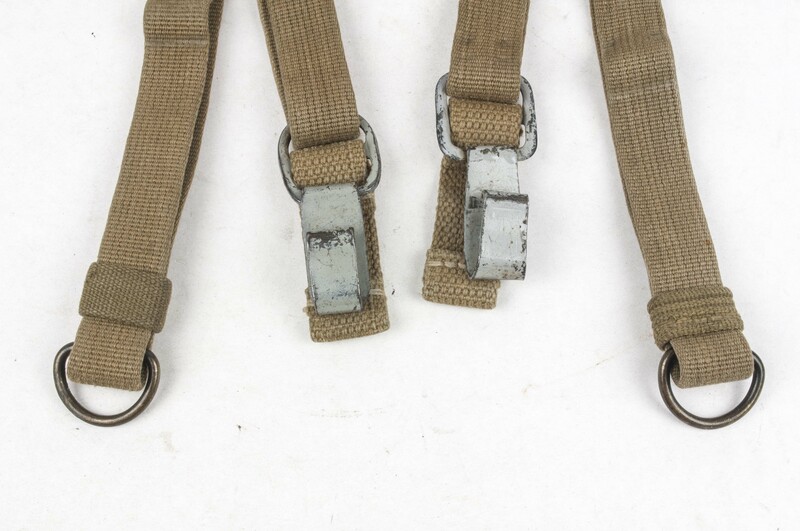 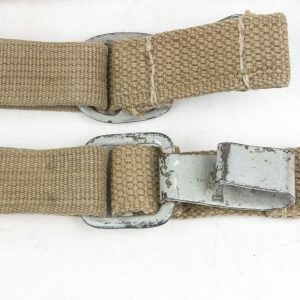 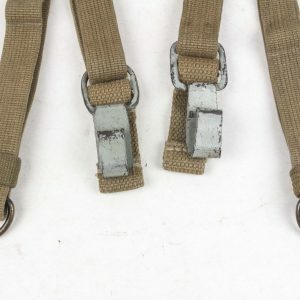 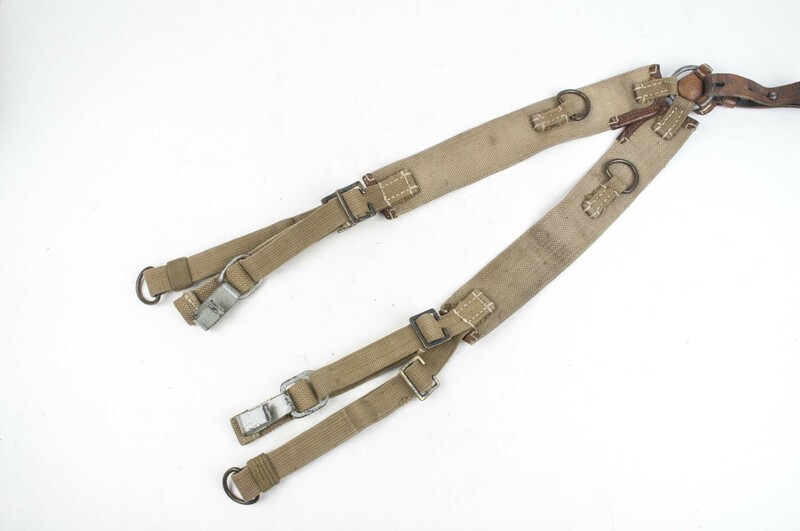 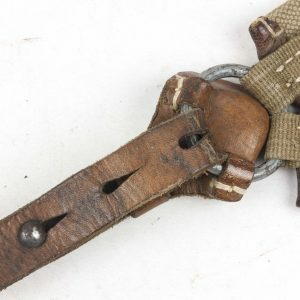 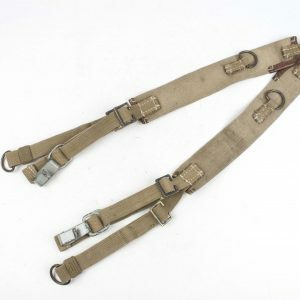 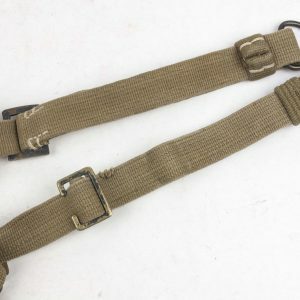 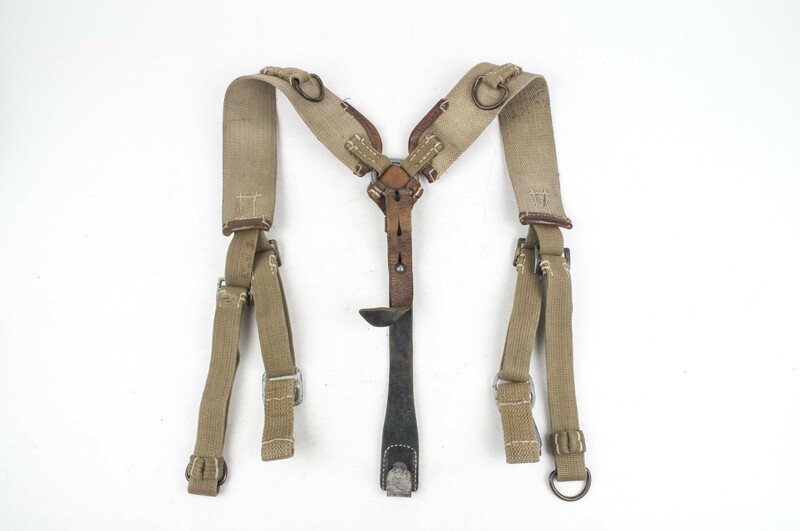 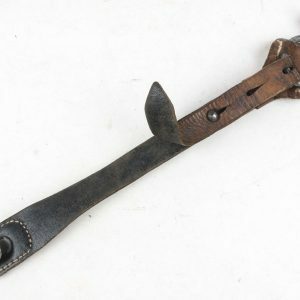 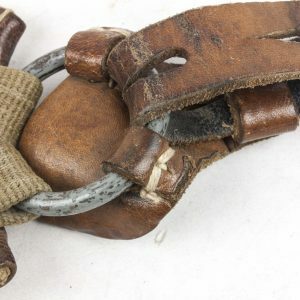 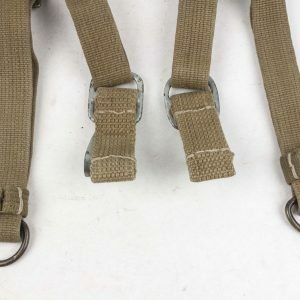 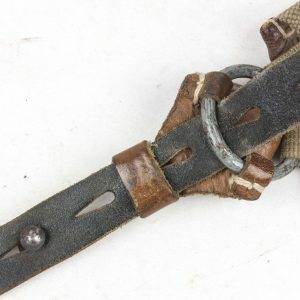 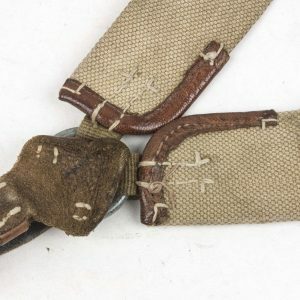 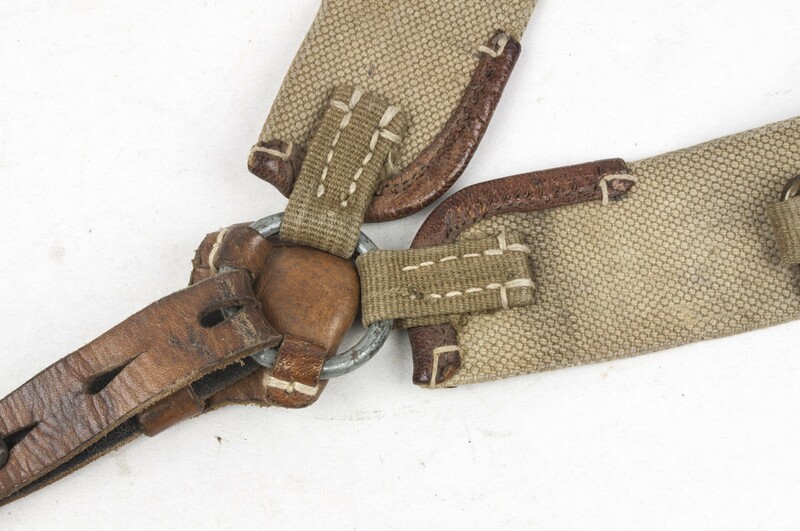 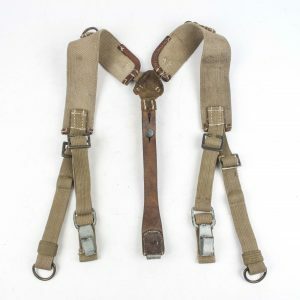 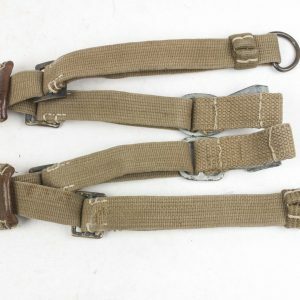 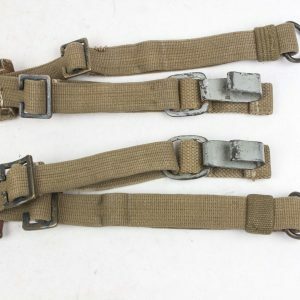 Y-straps with auxiliary straps or “Koppeltragegestell aus Leder mit Hilfstrageriemen” was first introduced in April 1939. 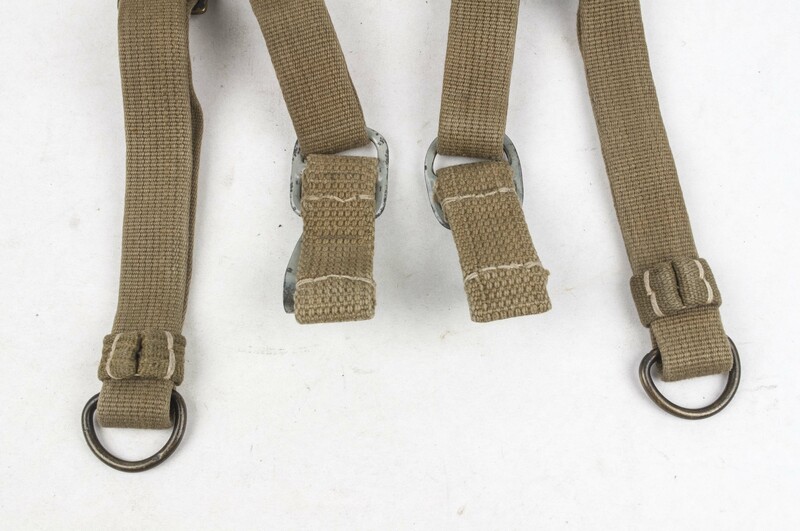 Meant to distribute the weight of the equipment evenly, the Y-straps where a important part of the equipment. 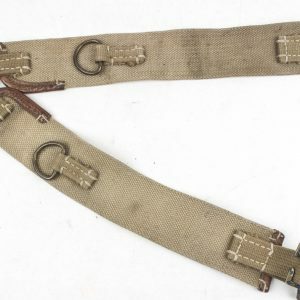 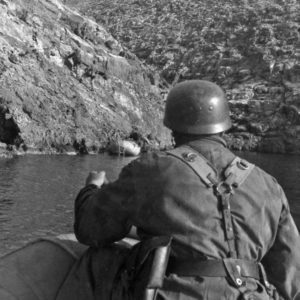 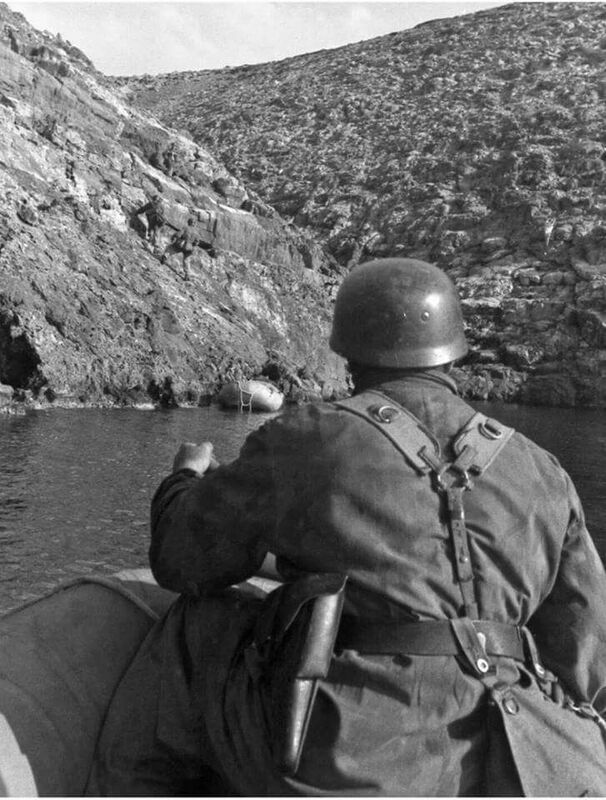 In April 1940 the official name was changed to “Koppeltragegestell für Infanterie” Even though it was introduced in 1939 it only saw widespread use from 1941 onwards. 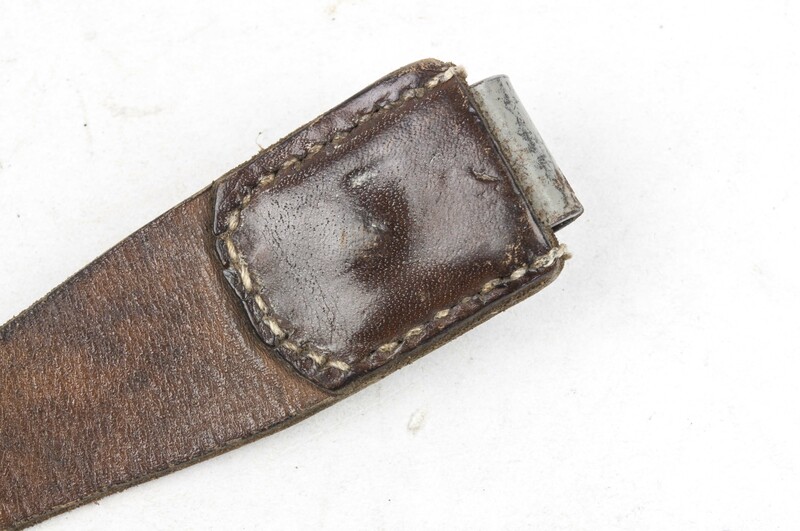 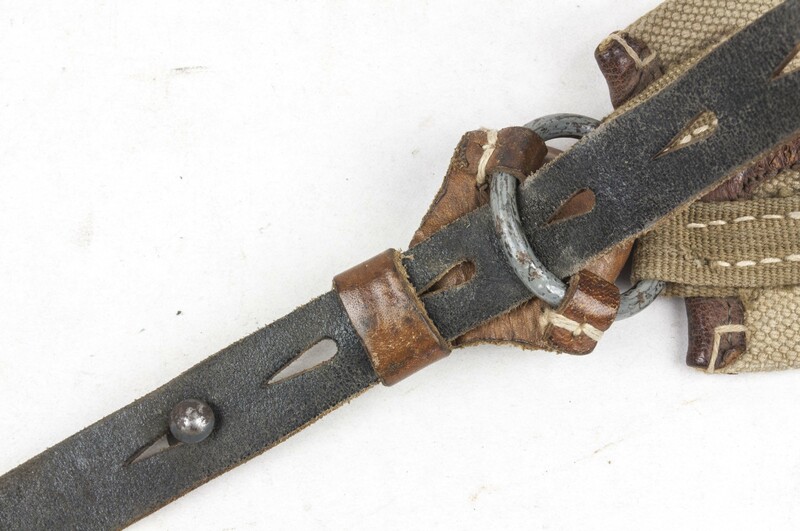 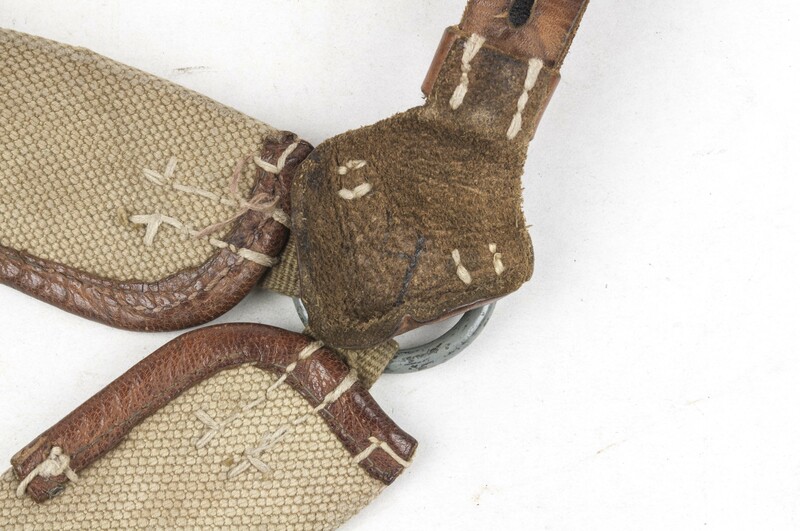 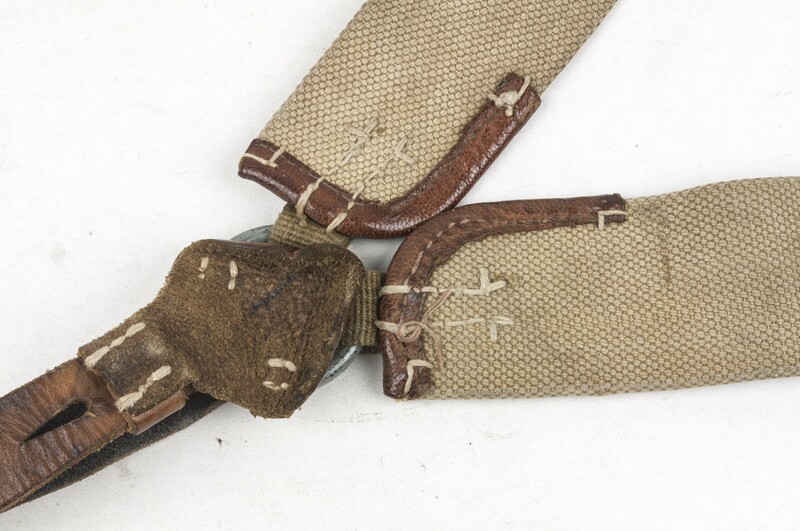 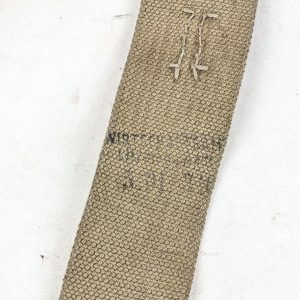 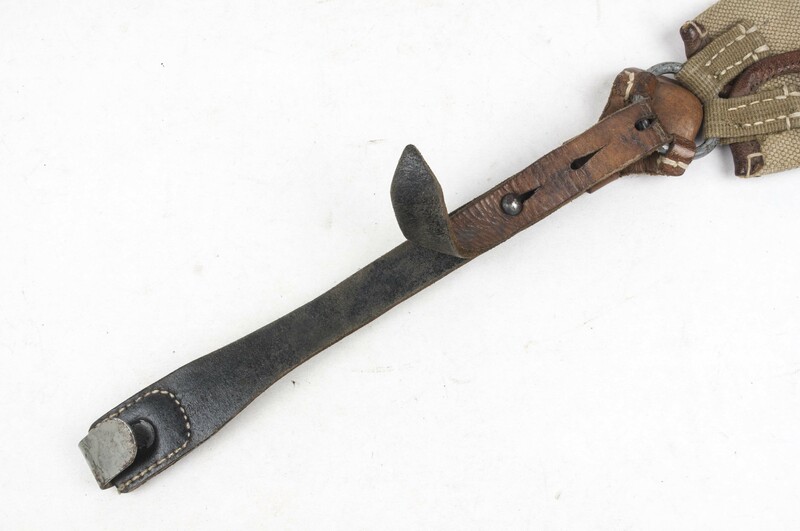 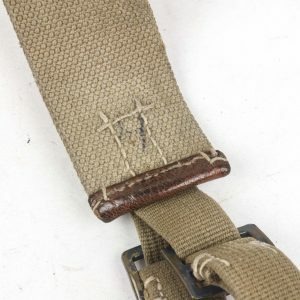 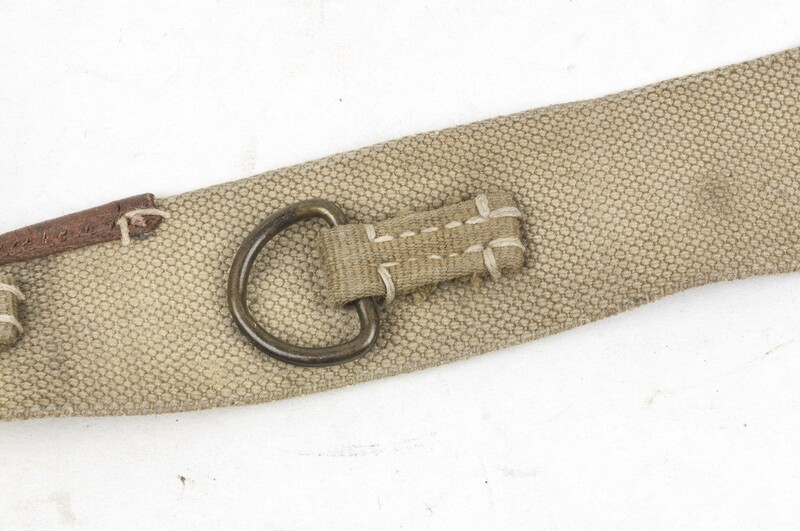 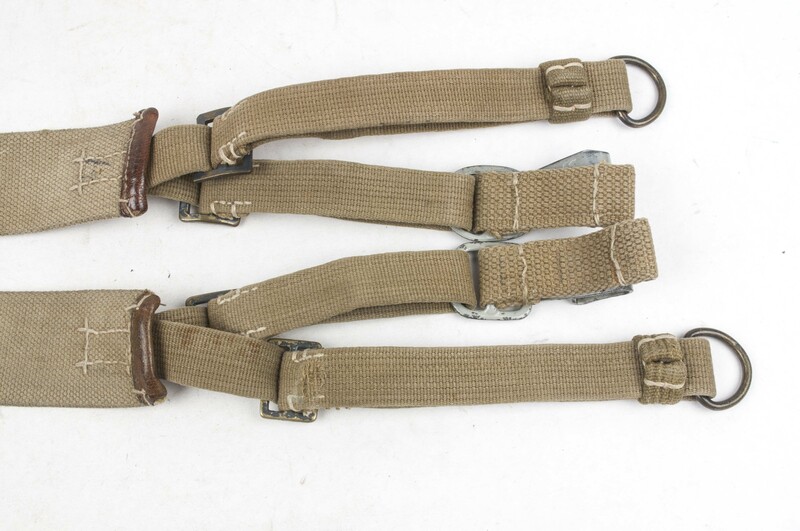 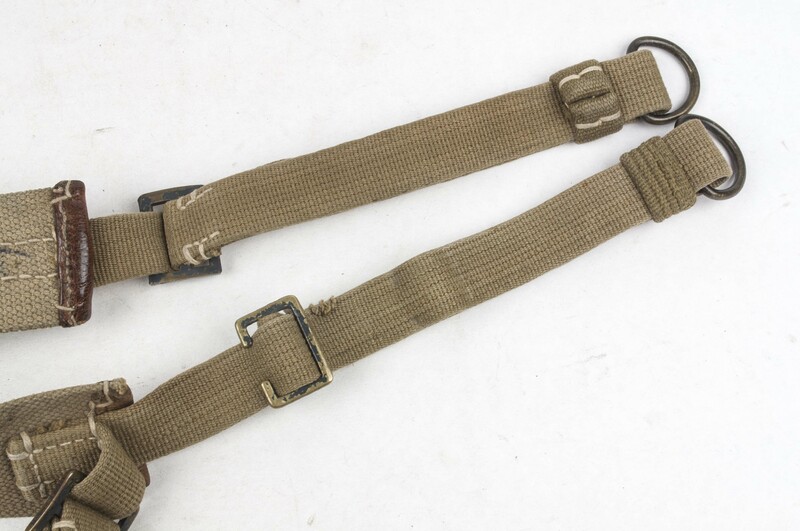 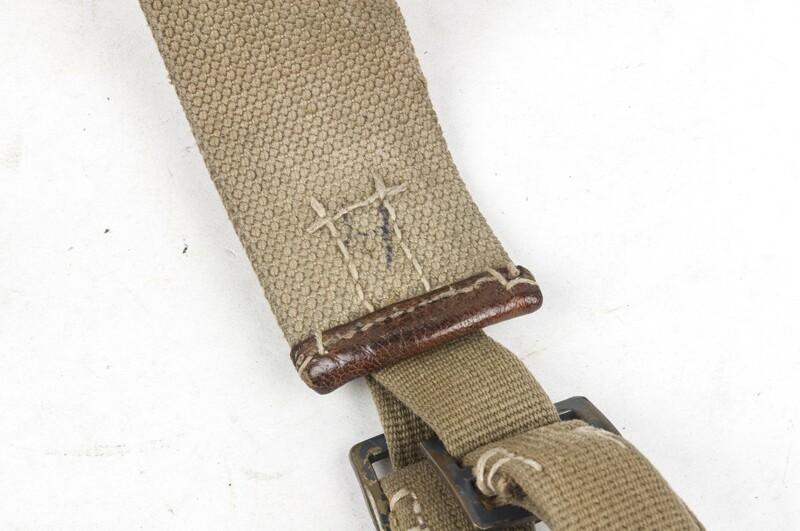 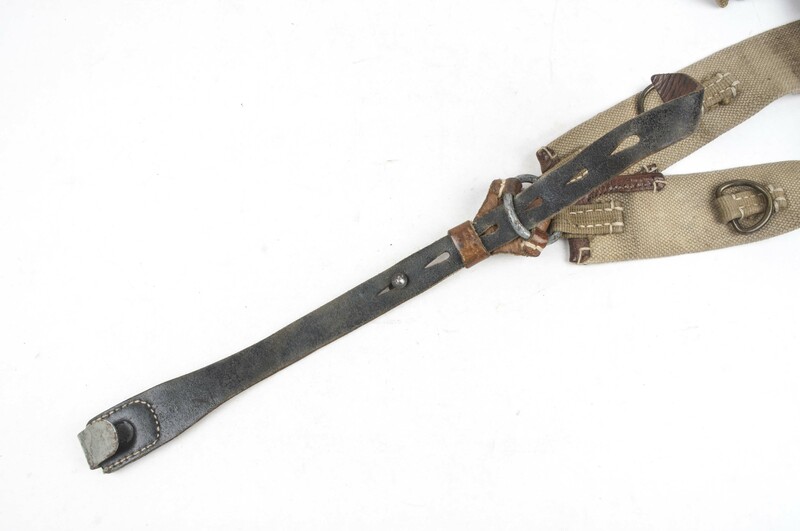 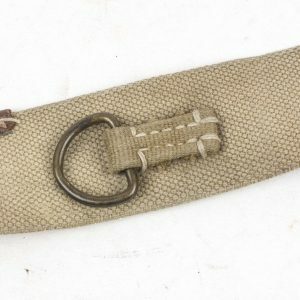 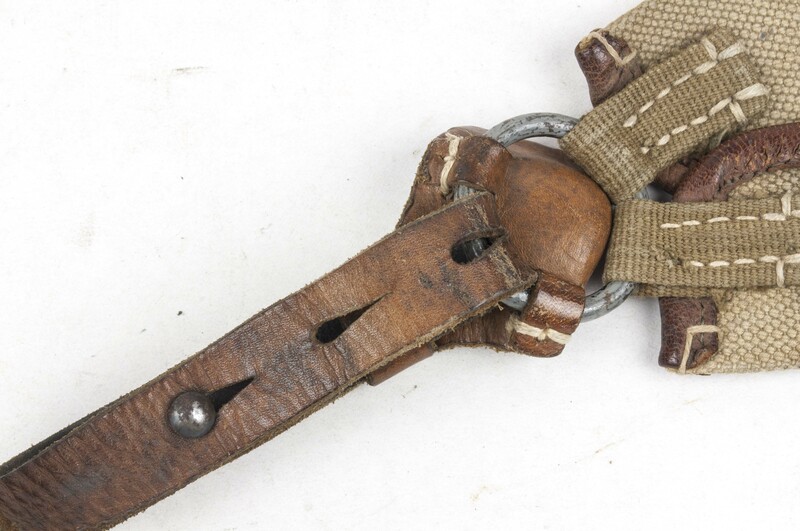 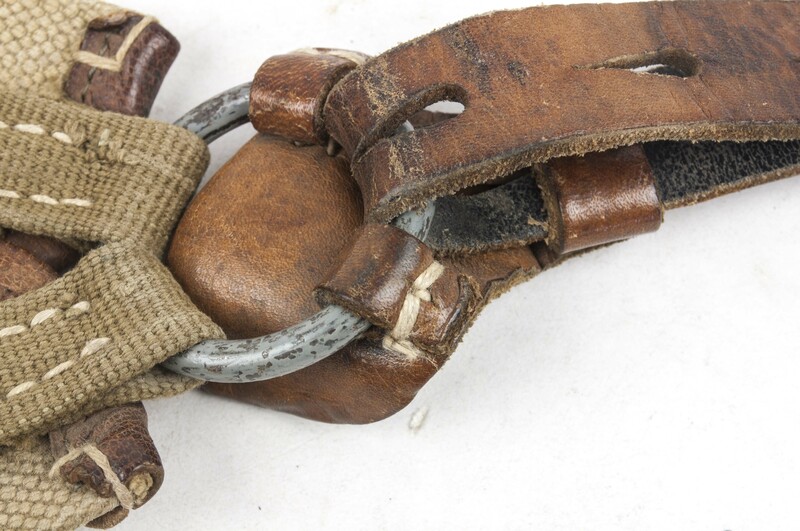 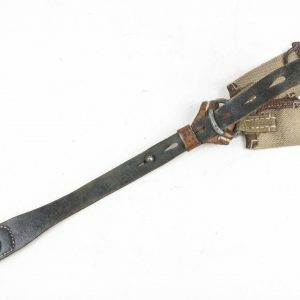 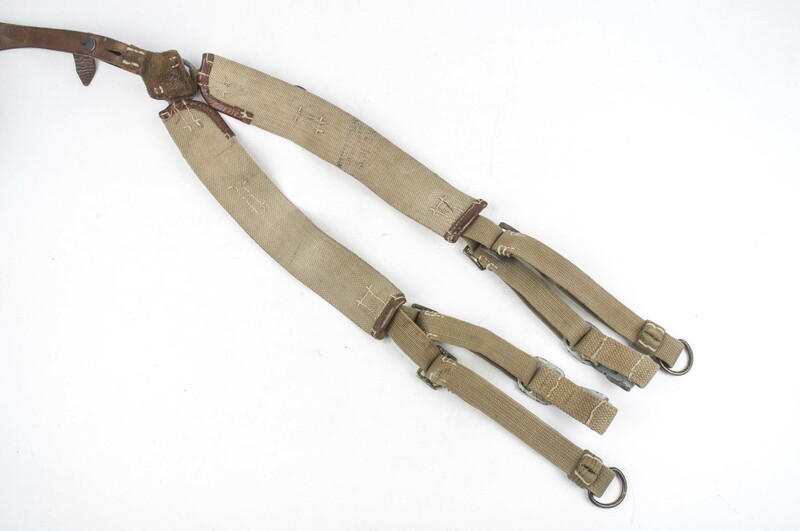 Also in that year the first “tropical” Y-straps where introduced, they stayed in production until the end of the war. 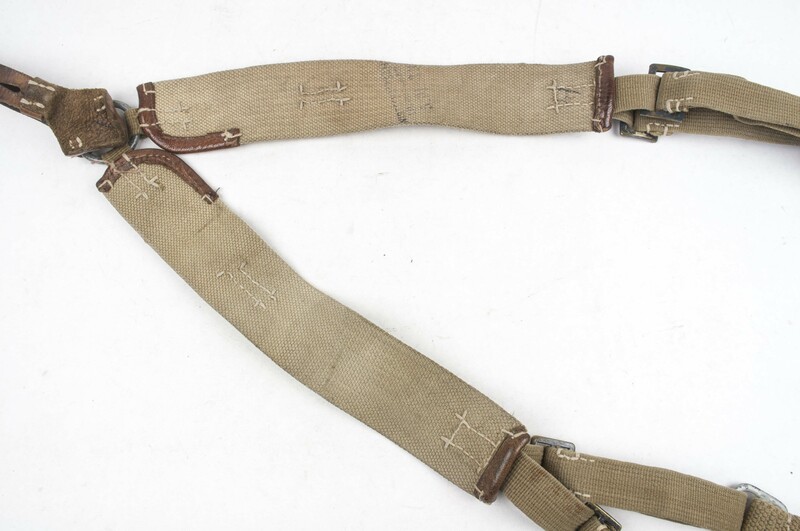 As the war further progressed the Y-straps underwent many minor changes ever simplifying the production. 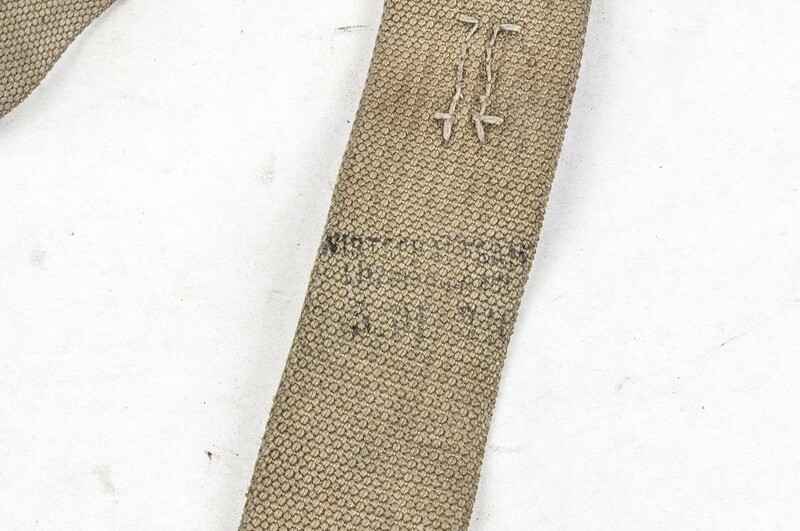 Notes: These Y-straps are made in the Ghetto of Lodz, Poland which the Germans renamed into “Litzmannstadt”. 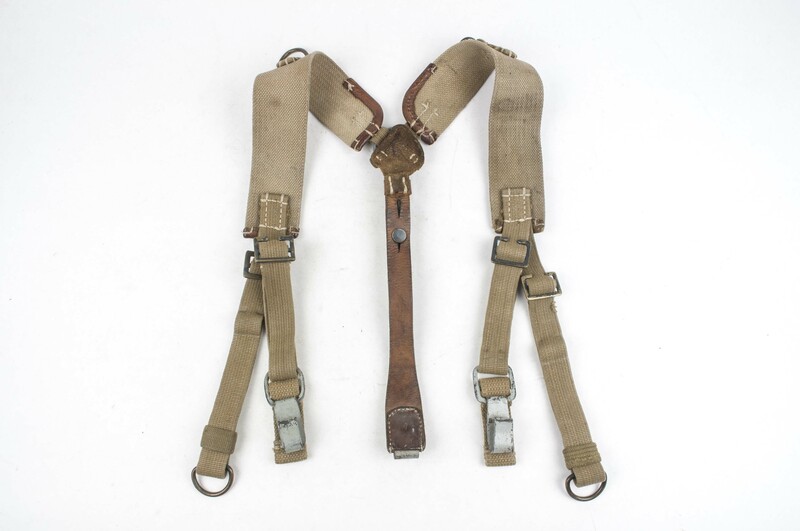 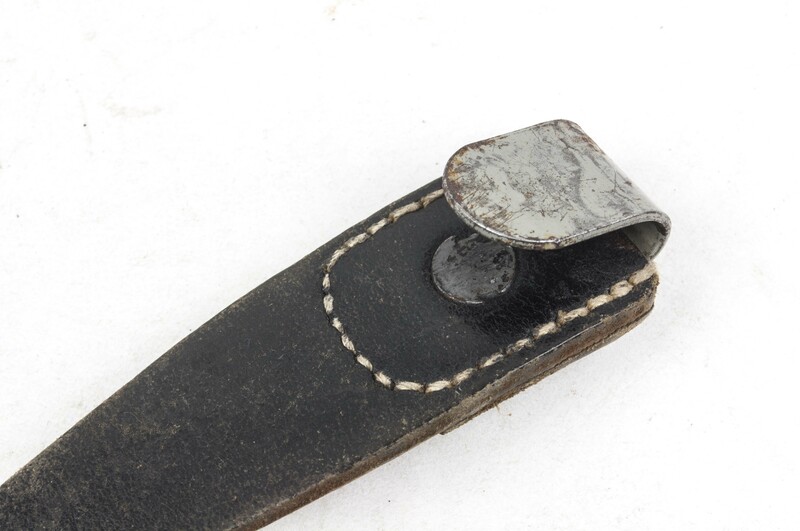 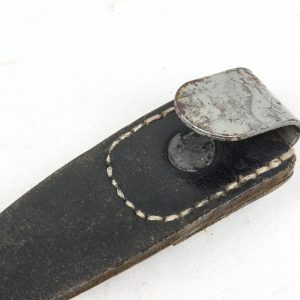 They are made using parts of captured British equipment items. 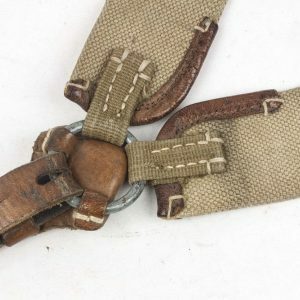 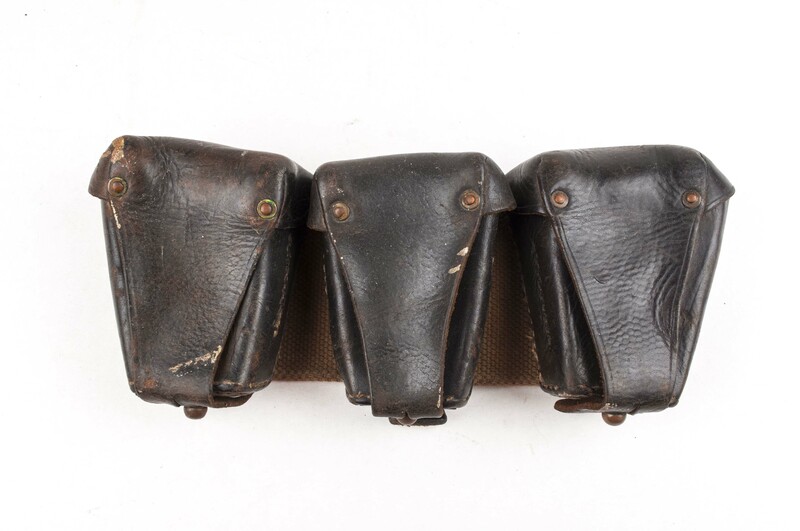 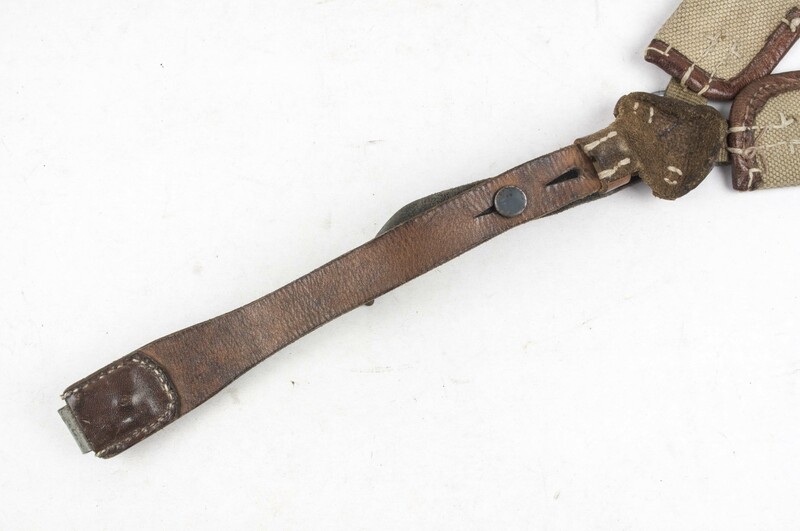 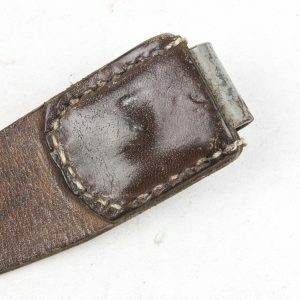 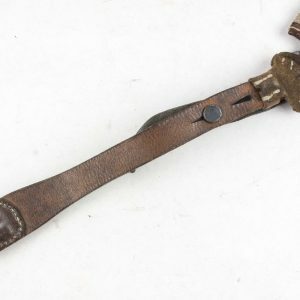 These British equipment items where left in 1940 when the British Expeditionary Force evacuated to the United Kingdom. 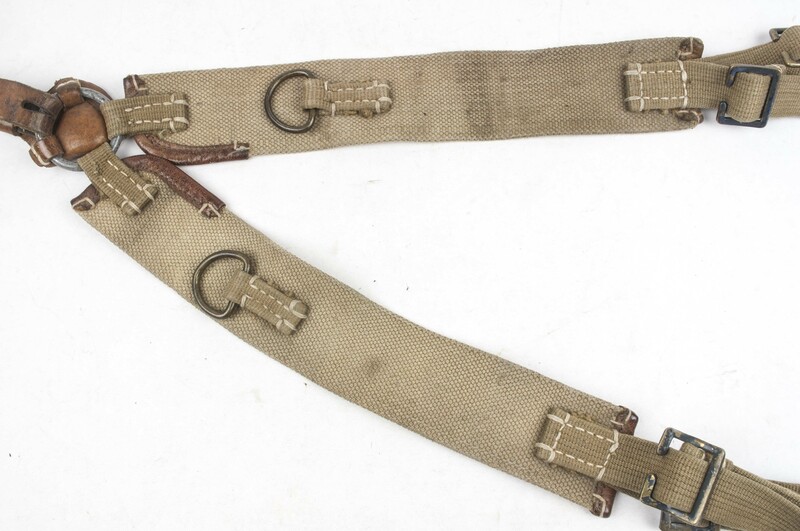 The Germans sent these for recycling and a lot of work was put in disassembling every British equipment piece and recycling the individual parts into German army equipment. 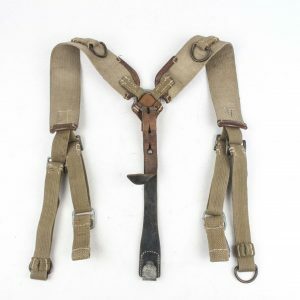 Y-straps, breadbags, A-frames and rucksacks are a few of the items made in Litzmannstadt. 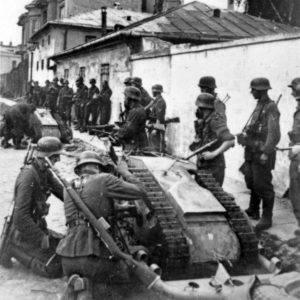 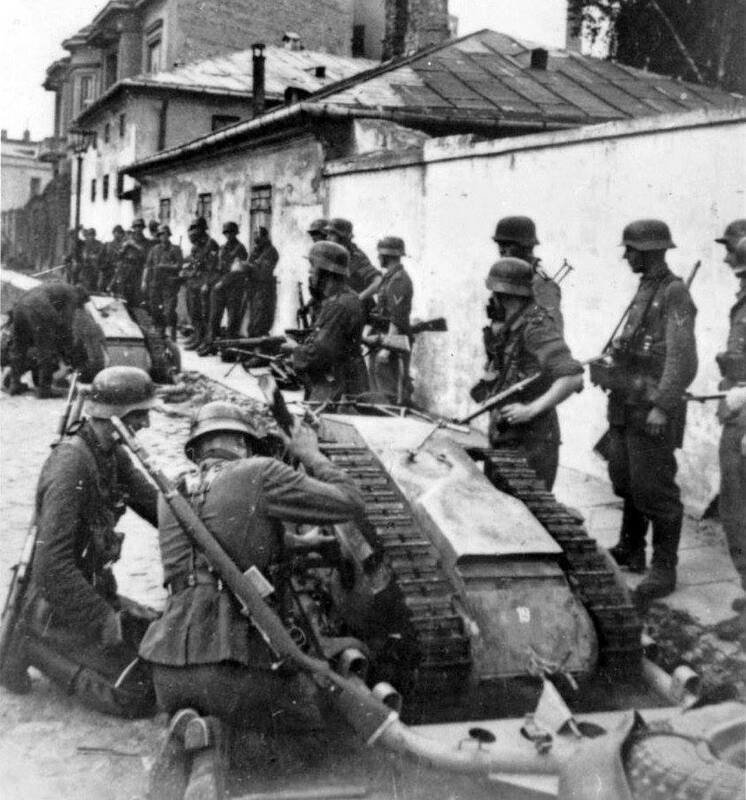 German soldiers prepare remote controlled demolition vehicles, Goliath tracked mine, Warsaw, 1944.